The mistake people often make while going for a diet is to aim for weight loss alone. Often, it is a crash diet which claims to make you lose weight within a matter of weeks. That is where you are wrong. In the long run, a crash diet ends up doing you more harm than good. 1. The results are often temporary. Sure, you will fit into that dress in time for the wedding but once you give up the diet, the kilos are going to come rushing back with a vengeance. 2. These diets cut down your calories significantly, thus starving you of vital vitamins and nutrients as well. This will leave you weaker at the end of the day. 3. Most of the weight lost in these diets is water weight. 4. Canceling whole food groups is not a solution. You end up losing muscle mass alongside the fat and thus end up looking sickly rather than thin. 5. Above all else, the simple fact is that you cannot sustain a crash diet for a prolonged period. The aim of a healthy diet should not be just to lose weight - you should aim to get the right balance of nutrients, minerals and proteins to keep yourself healthy and capable of warding off illnesses. The end goal should be to attain a sense of physical as well as mental wellbeing. A regular diet combines all food groups in healthy amounts and keeps in mind the rigours of your body as well as your daily cycle. Fruits, grains, legumes, nuts, vegetables and yes, even diary, fish and meat products all find space in these diets. * With more focus on nutrients rather than calories, your body is given the right combination now to become healthier and help you ward off ailments in the long run. * Studies show that diets rich in omega 3 fatty acids aid in improving brain function. They also help in mood alleviation and reducing depression. * Not eating sufficient nutrients has been shown to reduce and even suppress immune functions of the body. * Reducing calorie-laden fried food and using healthy alternatives to keep your energy levels at their optimum levels is the key here. In this regard, it is important to know what is good for you and what is not. Dabur's Honey is one such example of a healthy alternative with multiple benefits. The healthy natural sweetener has been clinically proven to have vastly superior benefits over sugar and other artificial sweeteners. Besides having lesser calories than sugar, they also contain vitamins and antioxidants as well. 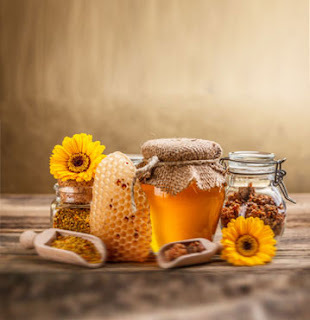 A single spoon of honey with warm water early in the morning is known to aid in weight loss. It is a proven source of energy. It is also often used in the treatment of cough and cold. Besides aiding in digestion, it also nourishes your skin. When you go back to the history of it, honey has been used in diets for its taste and added benefits for over 2000 years. So, at the end of the day, the real question is, what is your reason for not adding it to your diet yet?